Pioneers in the industry, we offer google add word management from India. 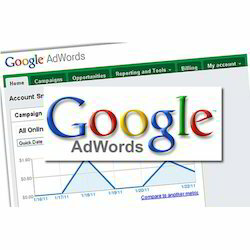 As per the requirement of our clients from across the country, we are involved in providing Google Ad Word Management. We help our client to reach the designated customer using the power of global search engine Google. We have a diligent team of experts having vast expertise in their respective domain, which results in providing best possible service to our clients. Our services are known for reliability, cost effectiveness and timely execution. Further, our clients can avail this service as per their precise requirements. Apart from Google advertisement we help you to advertise on video ads. Get your site Google plus, Google Circle.